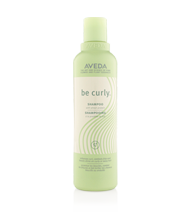 Enhance, intensify and define curls and dramatically reduce frizz – for smooth, springy, voluptuous curls. 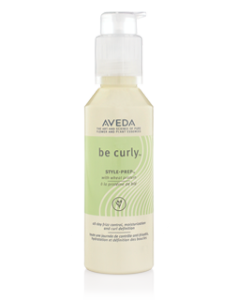 New Be Curly Style-Prep adds moisture and curl definition as it seals the cuticle, taming frizz all day. It makes styling curls easier and helps maintain them longer. Features organic baobab seed oil from South Africa, organic babassu oil from the Brazilian rainforest and macadamia nut help seal, soften, and moisturise hair. Breakthrough new hair care system that provides extraordinary moisture and suppleness to instantly transform even the driest, most brittle hair without weighing it down: Dry Remedy Moisturising Shampoo, Dry Remedy Moisturizing Conditioner and Dry Remedy Moisturizing Treatment Masque. 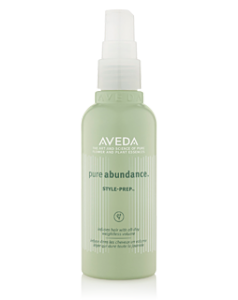 Aveda’s patent-pending Deep-Moisture Complex – a high performance blend of buriti oil, pomegranate and palm-derived conditioners – penetrates hair for deep moisturisation. 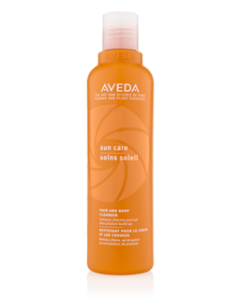 16-hour UV-Defense and recovery system with UV protection to help cleanse, protect and restore hair from the damaging effects of sun, salt and chlorine. 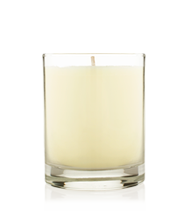 Features a refreshing, light, tropical 100% certified organic blend of neroli, ylang-ylang, wild-crafted cistus from southern Spain, and other pure flower and plant essences. 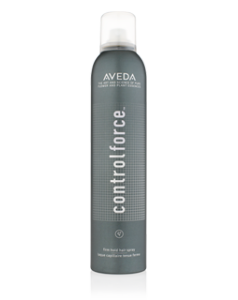 Take control of frizz and unwanted wave. 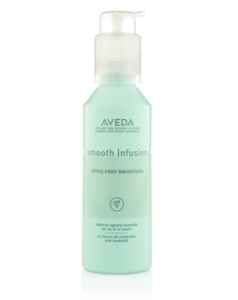 The system restores moisture, infuses smoothness and protects surface damage from heat styling. Signed with a fresh, citrus-floral blend of certified organic bergamot, certified organic palmarosa, Bulgarian rose and Australian sandalwood, Smooth Infusion is a smooth ride to silky, sleek styles – helping tame even the most unruly of hair types. 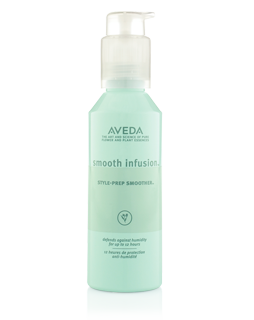 The Smooth Infusion Style Prep defends against humidity for up to 12 hours and is one of Aveda’s best sellers. The new glossing straightener stands up to the most demanding conditions and hair types and transforms even the most intense waves and curls into straight, shiny hair. Nature defies damage. 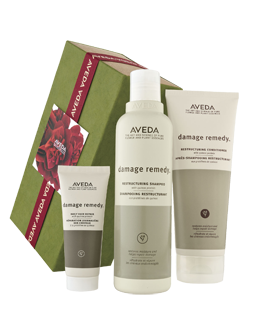 Damage Remedy hair care – our three-step restructuring system – pits powerful plant ingredients against even the most damaged hair. 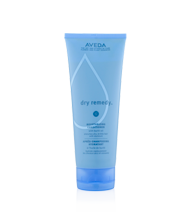 The target – hair weakened by chemical processes, heat styling and environmental exposure. 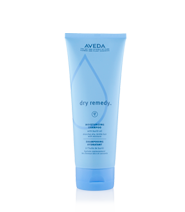 The result – hair returned to its natural beauty – every strand stronger, silkier and shinier. You live in full colour. 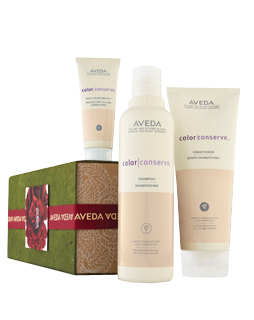 And your hair colour is the outward expression of that vitality: preserve it, with a three-part, plant-based system for colour care. 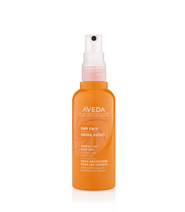 Volumising hair care. 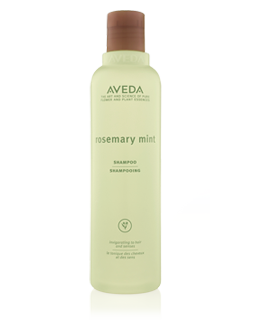 An expansive personality deserves hair to match—unrestrained, overflowing with life. 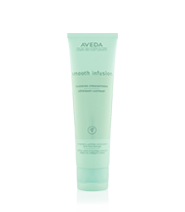 Drawing on innovative natural volumising agents, Aveda gives fine hair the means to fuller-looking, thicker-feeling hair. It’s a personal subject. 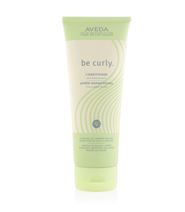 Want it, or defy it—it shows in how you wear your hair. 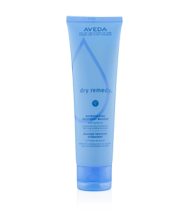 We’ve got the key to out-of-control hair or formulas to keep every piece in place. Wherever your head’s at, Aveda’s Control™ family brings styling in line with your style. 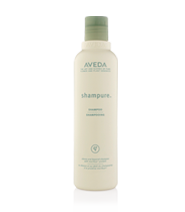 Celebrate what comes naturally to you – the texture in your life and in your hair. Aveda recognises the different needs of textured hair – and finds the tools in nature to make it shine. To soften and smooth. To defy the elements. A variety of choices for your multi-faceted style – all dedicated to bringing out your natural brilliance. Your needs are simple. 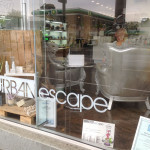 Lather, rinse, maybe repeat. All you ask is that hair looks, feels and smells good. That’s why we’ve created these uncommon plant formulas—mixing singular ingredients and uniquely evocative aromas, while still universal enough to care for any hair—your hair. 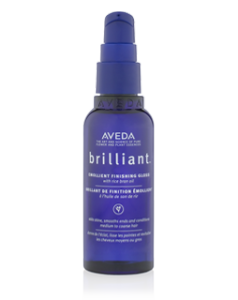 Above and Beyond Haircare. Shampure infuses all types of hair with calming Pure-Fume aroma with 25 plant and flower essences.